The lights dimmed and a hush fell over the crowd. The last hour had been building to this. 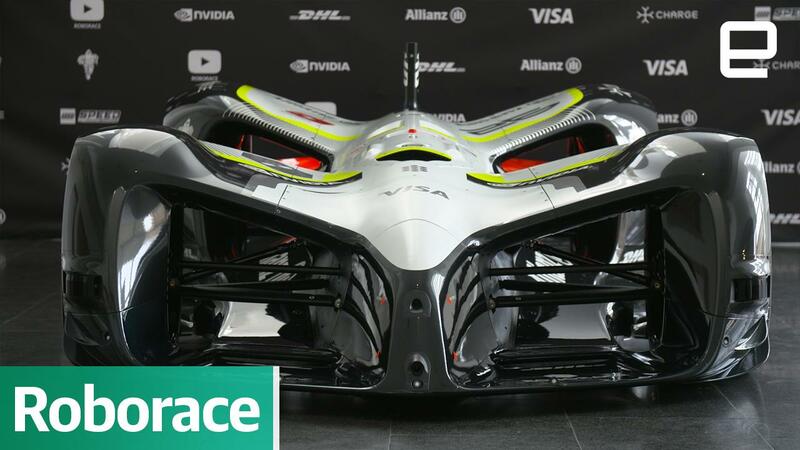 Denis Sverdlov, CEO of Roborace, and Daniel Simon, chief design officer, took a step back as some knee-high panels were taken away and a silky cloth was lifted, revealing a mechanical monster underneath. 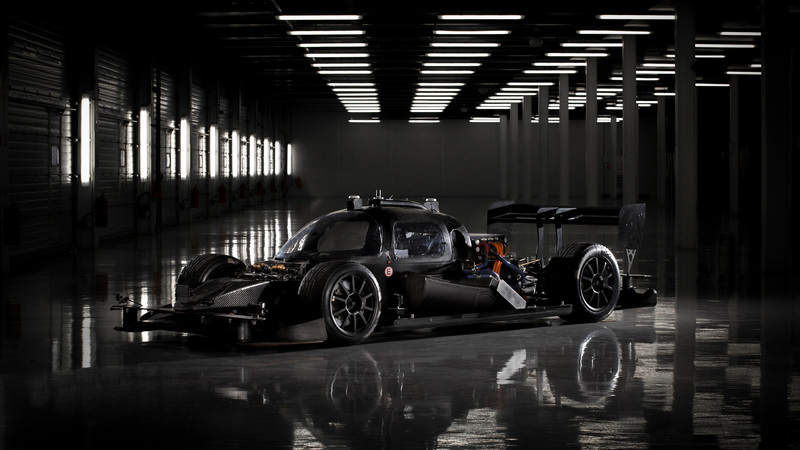 More than a year after the project's announcement, the pair had finally revealed their first production-grade Robocar: a fully electric, driverless race car built from the ground up for a new breed of motorsport. One where the heroes are programmers, concocting the smartest and most competitive AI drivers. The Robocar is an imposing sight. The low profile and flowing wheel arches give it a distinct, animalistic look. Like a cheetah, it seems ready to pounce at any moment. "It needs to look like it moves when it's standing still," Simon told me the next day. "It needs to just tickle your senses on a very simple base level, so you say, 'What is this?!'" We were at the Barcelona Museum of Contemporary Art, admiring the car once more. Up close, it's even more intimidating. Four 300kW motors sit inside the carbon-fiber chassis, capable of taking the car beyond 320KPH (199MPH). A 540kW battery fuels these electric engines and a dizzying number of sensors that act as the car's eyes and ears. These include two radars, five laser-powered LIDAR detectors and six AI-driven cameras, as well as two optical speed sensors and 18 ultrasonic sensors. It's a miracle they all fit inside. Designing the car was no easy feat. Simon started his career at Volkswagen in 1999 before working on the Bugatti brand in 2001. Seven years later, he moved to Los Angeles to work on Tron: Legacy as a vehicle concept designer. Since then he's contributed to Prometheus, Captain America: The First Avenger and Oblivion. Roborace was the perfect project for Simon, combining his love of cars and science fiction. At first, however, he was wary. "I was as skeptical as everyone else. 'A driverless racing series -- what?' But I think that was perfect, because now I'm excited and I think that helped to make the car as cool as it could be." The biggest challenge, he said, was an emotional one. For years, automotive design has revolved around some obvious fundamentals. A car needs a cockpit, for instance, and a steering wheel and pedals. But with the Robocar, Simon had an opportunity to break almost every design rule in the book. The problem, he explained, was creating a car that didn't look awkward without a driver. "For more than a hundred years, we've seen a person controlling the car. That's why it's so important that the Robocar has an emotion, a feeling. You don't normally approach motorsport like that. You don't go to a racing team and say, 'This has to look emotional.' But that's why this [project] was so cool." 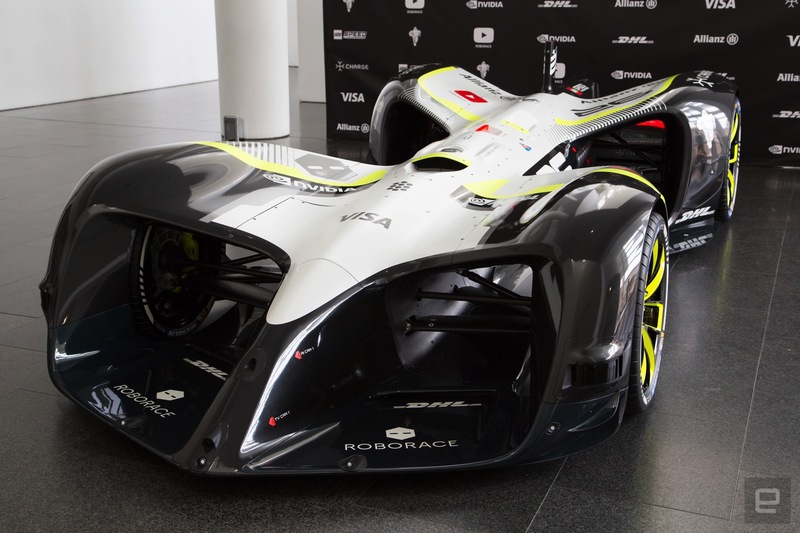 Roborace showed a render of the car in March 2016. It looked stunning but ambitious. So many concept cars remain just that: a concept, never to be manufactured or driven. But Sverdlov was adamant that the car could be built, and to the original specifications. "The challenge for our engineers was to change it as little as possible," he said. "So we did the wind tunnel testing and all of the computer modeling to get the right performance. [We wanted] uncompromised performance, without touching the original design." Easier said than done. "I think the most used line in our communication was 'Dan, we have a problem,"' Simon said. "Followed by a little emoji with a tear." Many driverless vehicles have a LIDAR setup on the roof, where it can easily survey the surrounding area. For the Robocar and its clean, sweeping lines, however, that wasn't an option. So the team had to get creative with the sensors and their placement among the bodywork. The nose, for instance, is made of a special material that the radar can "see" through. The LIDARs are built into the wheel arches in such a way that their viewing angles line up, eliminating any potential blind spots. The absence of a cockpit provides some benefits though. For one, it creates more space. There's no need for a steering wheel, speedometer or pedals. Safety features can also be thrown out the window -- roll cages and air bags, for instance, are suddenly superfluous. 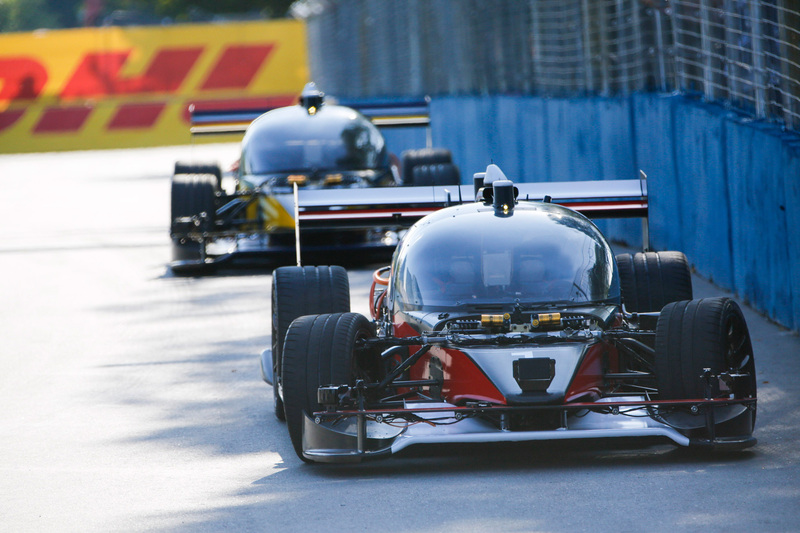 Up to this point, Roborace has been using development vehicles called, unsurprisingly, DevBots. They can drive on their own, but they also contain a cockpit so an engineer can sit inside and take control if required. In terms of shape and performance, they're quite different from the Robocar. But Sverdlov said the progress they've made with the DevBots will carry over. That's because the AI and algorithms are being developed as a platform. "Everything we've already reached in DevBot -- it's already here as a given," he said. "So now we are starting from this point to make it even better." Still, the team is a long way from holding a Roborace. A documentary series on YouTube is surprisingly honest about the project's challenges. In the first episode, the team discovers a battery fault mere hours before a public demonstration. In another, two DevBots are put on the same track and allowed to race autonomously. For 20 laps the test is a success; one car even manages to swerve around a dog who has wandered onto the track. The dual is overshadowed, however, by a dramatic crash caused by the other DevBot bumping into a wall. "What's really, extremely important," Sverdlov said, "is that those two cars started to understand each other and change their online path planner." In short, the vehicles were behaving like real drivers, naturally changing their line in response to the other AI. Collisions are inevitable. But that's the beauty of Roborace. The team is creating a space where engineers can experiment and push the limits without fear. There are no human drivers on the track. No unsuspecting public. Just a course with nine other Robocars hurtling around. Sverdlov is quick to emphasize that the Roborace will be a software-based competition. Every car on the track will be the same; it will be the AI and algorithms that ultimately decide a team's success. The hope is that such an intense competition will accelerate advancements in self-driving transportation. If something goes wrong a few hours before a race, competitors will be forced to find a solution, and quickly. "If there is an event, you cannot do it one hour later -- you need it now," Sverdlov said. What he calls compression time is key to the Roborace's appeal. "We really believe that this environment will help companies to create best algorithms for road cars." The biggest leaps should be in collision-avoidance systems. Victory in the Roborace will require more than savvy overtaking maneuvers; teams will need to avoid one another, especially at the start, when everybody is bunched together. If someone else has a bad algorithm and they hit you by accident, there's a good chance you'll both be forced to retire. Success will fall to the teams with the most aware and responsive vehicles. Sverdlov hopes this knowledge will translate to road cars: If a driverless car can avoid robots racing at 200MPH, it stands a pretty good chance on the streets, or so the theory goes. Unlike Formula 1, Roborace will be open to everyone. You won't need enormous budgets or huge research and development teams to compete. Just the best code. In theory, then, a student could go up against Ferrari. A university could beat Renault. Heck, a total nobody could win the championship. Sometime in the future, the team will open up its "virtual test environment" so that anyone can test and developing a custom algorithm. "We want to push the boundaries further, and this is the ultimate environment for that," Sverdlov said. First, however, the team needs to put its Robocar on the track. The plan was to do just that before Mobile World Congress, but some delayed parts meant that the first test run had to be put on hold. Sverdlov says it will now happen "just after" the event but stopped short of giving a concrete date. One thing is for sure: It will be some time before a full Roborace takes place. The team has promised further DevBot demonstrations throughout the current Formula E season, including another head-to-head competition. Behind the scenes, the company will be working on two development routes. One is focused on performance, increasing the speed of the cars and improving lap times. The other is concerned with the number of robots on the track. 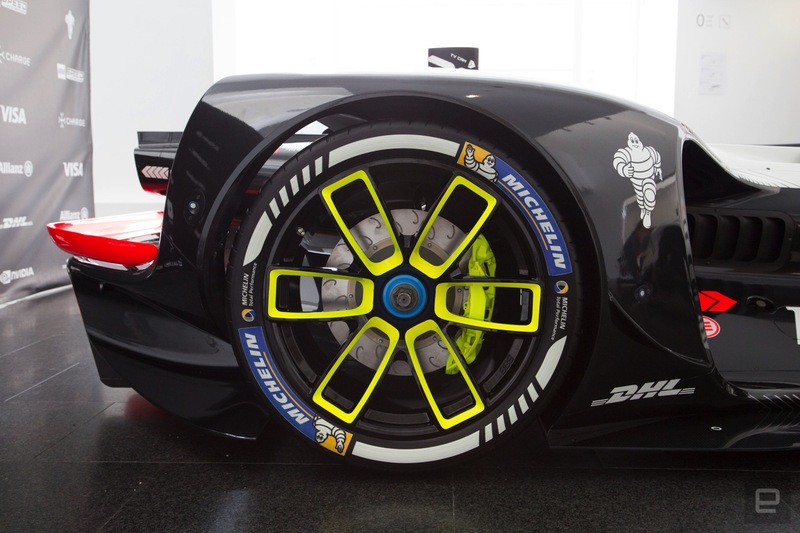 For now there's just two, but soon Roborace wants to test with three or four. But I have one question: Will people want to watch a Roborace? Can you get truly invested when there are no people on the track? "We already see a lot of drama -- human drama -- within our developing process," Sverdlov said. "We will see this drama occurring in the teams as well. It's the people who have an objective to do something amazing. They will work during the nights, and sometimes they'll be angry, sometimes happy, sometimes upset. It's all about emotion -- it's not the robots. It's the humans that are using those tools to show the level of their intelligence. And I personally believe that's it's going to be super interesting to watch."